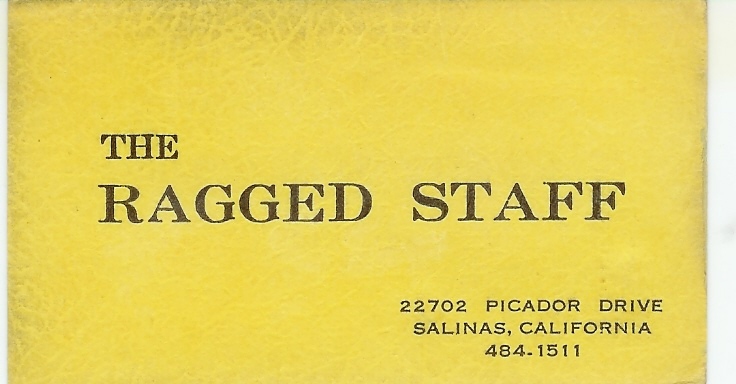 The Ragged Staff was formed in 1966 at Washington Junior High School by Dave Hurdle and Andy Randazzo. Dave played lead guitar and Andy on drums. 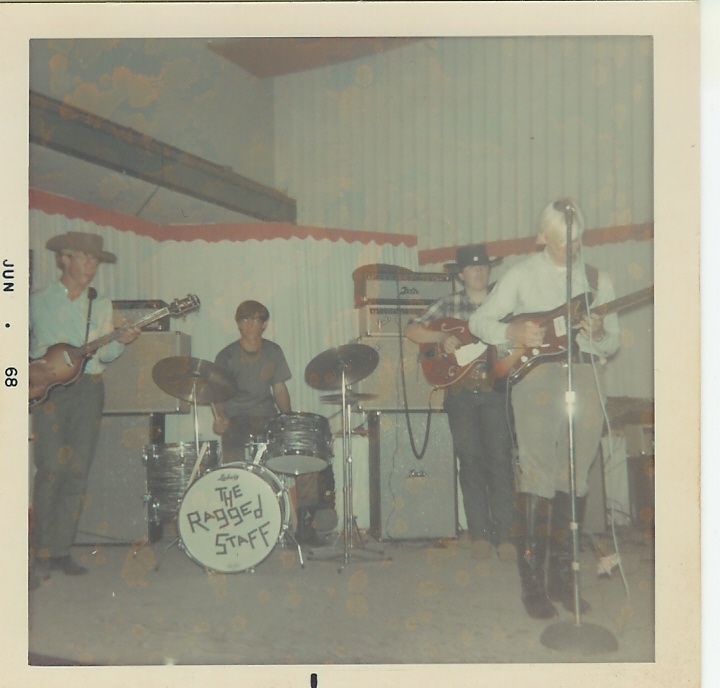 Two of their classmates, Gary Henry played rhythm and Dennis McClusky played bass. The band played at noon dances and actually played at their own graduation dance. All four band members continued on to Salinas High School in the fall. 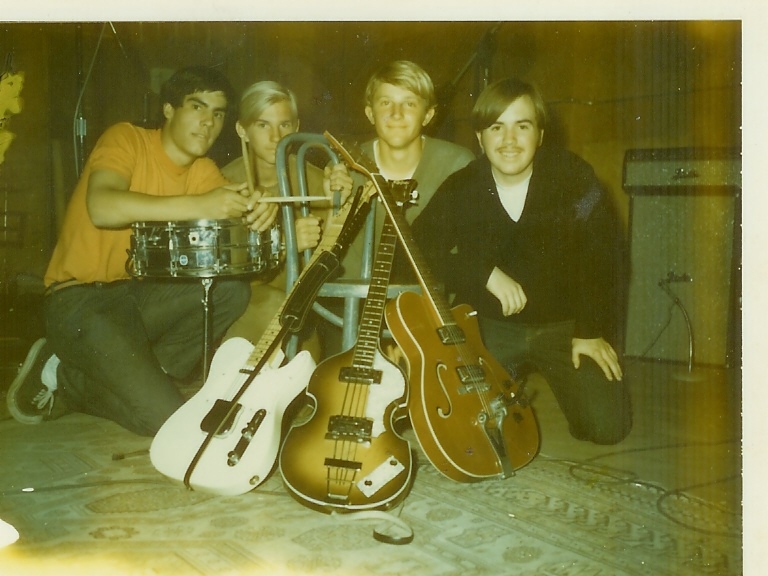 In early 1967 Dennis advised the band that he was moving out of state. 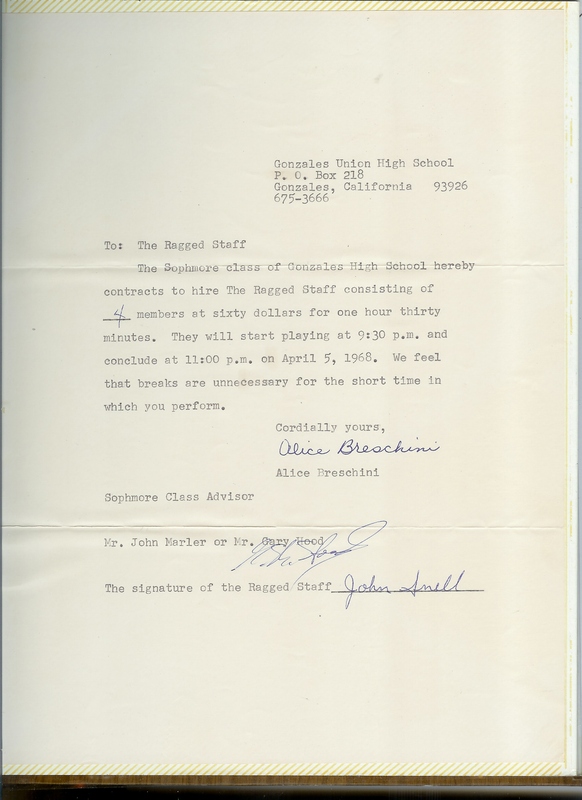 They heard of a bass player named John Snell who went to Palma, the Catholic High School in Salinas. They contacted John Snell through a mutual friend, Gary Rothstein who also attended Palma. 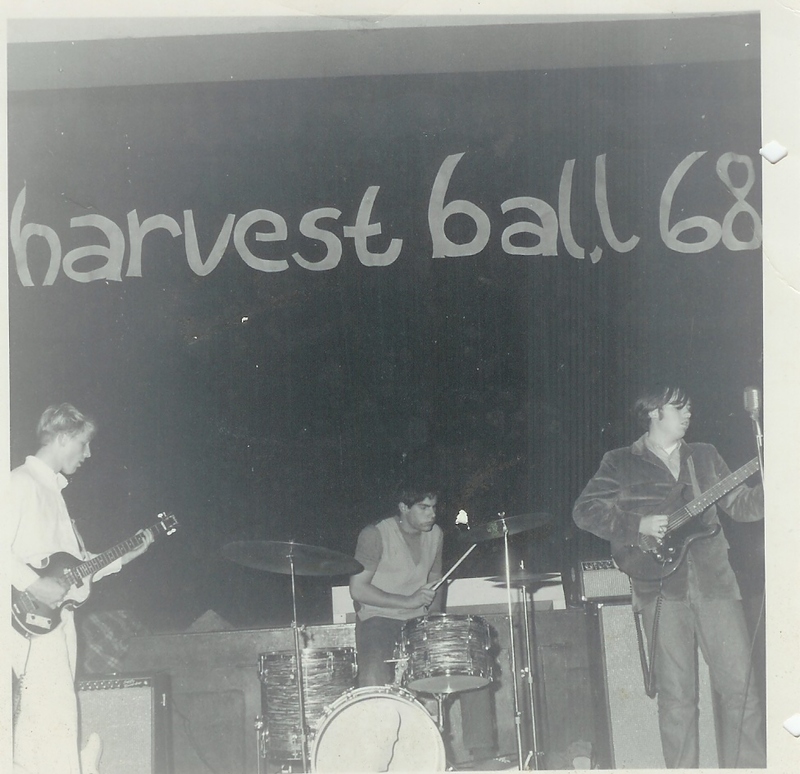 John Snell auditioned with the band in March of 1967 and was invited in the next day. Later that summer Gary Henry announced that his family too was moving. The group found a perfect fit with Craig Cox recently departed from the Wynd Up Blues Box. Craig was a strong singer and proficient rhythm guitarist. The group played all over the Monterey Penninsula and Salinas Valley. They traveled as far as Hamilton Air Force Base near San Francisco. 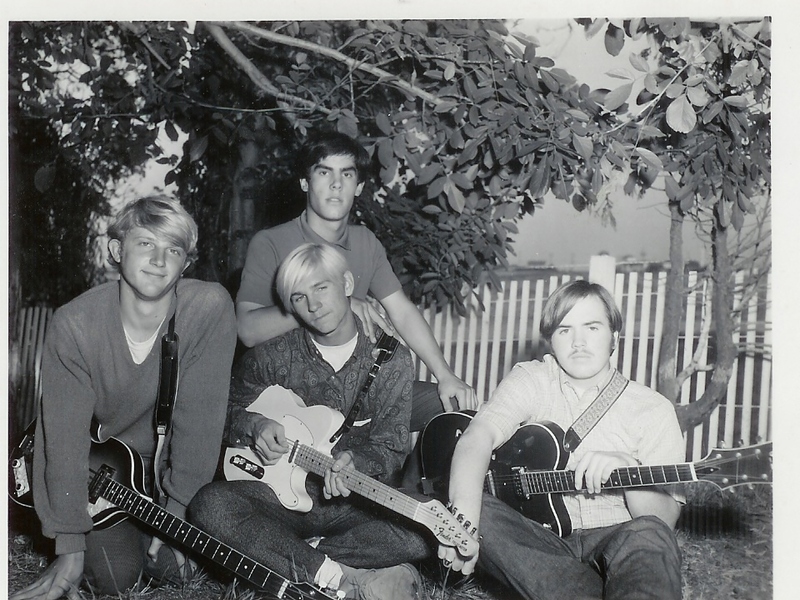 Although the group initially had a difficult time moving their equipment since none of them could yet drive (Snell was 15 and the other boys were 14) they still managed to open up for heavyweight headliners such as The E-types, Chocolate Watchband, Syndicate of Sound and People at such venues as The Coconut Grove Ballroom in Santa Cruz, and The Monterey Fairgrounds. 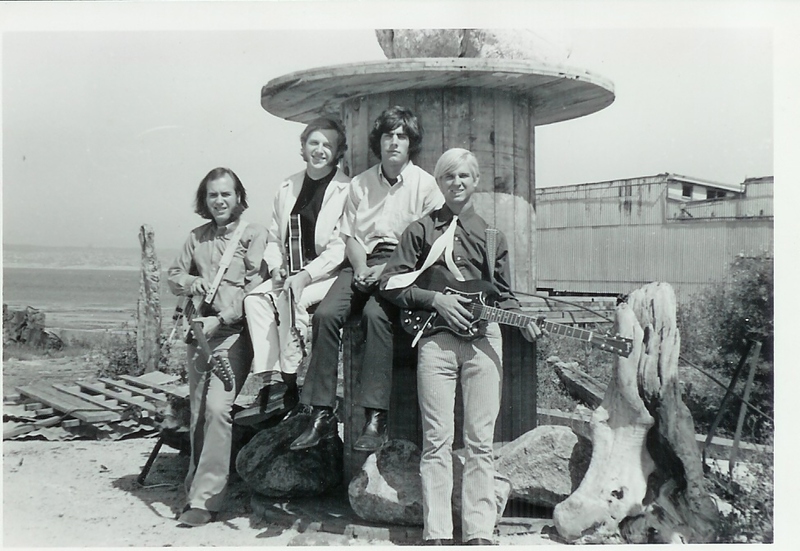 Although the group never did have a vinyl release they did record a soundtrack for a film produced my the Monterey County Department of Education. The soundtrack included instrumental versions of classic songs as well as songs written by the group. 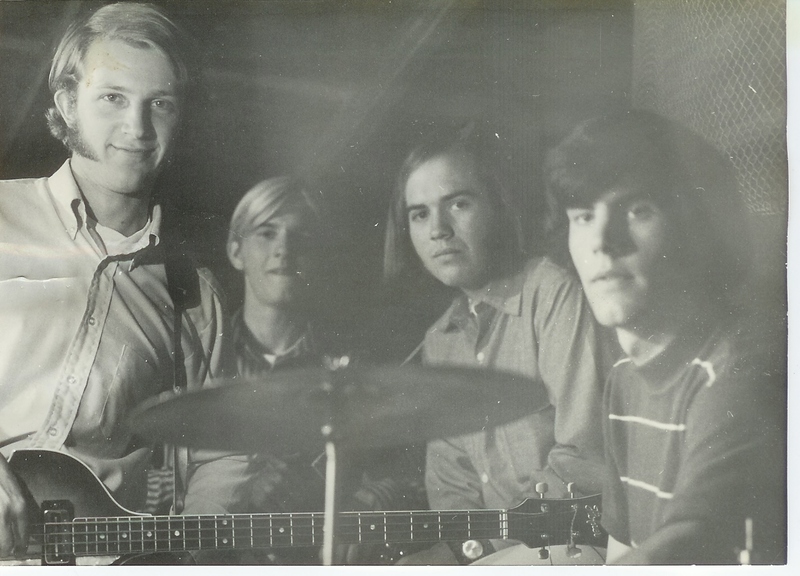 The band stayed together until September of 1970 when Craig Cox decided to call it quits. 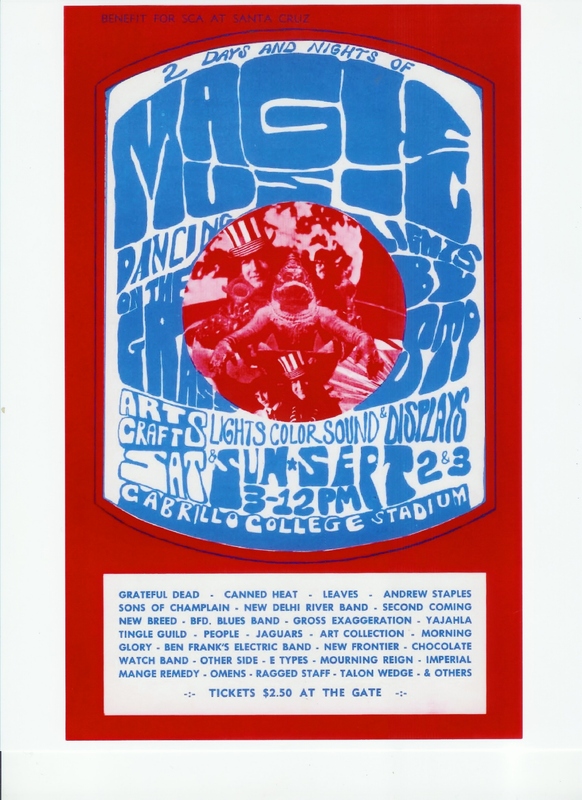 They did have a mini-reunion in the summer of 1973 for one evening and had a fabulous time playing many of their old standards. John Snell and Andy Randazzo have remained life long best friends and still jam together whenever they have a chance. Dave Hurdle went on to play guitar or bass in many bands and is still playing locally.